State-owned Vattenfall’s cash flow will improve by 4 billion kronor annually, as a result of the political agreement to abolish the output tax on nuclear power and lower the tax on hydropower. Additionally, with the risk of massive write-downs reduced, since the utility does not need to close reactors ahead of time, Vattenfall may be able to turn loss into profit. Just days after the agreement, Vattenfall decided to invest in independent core cooling in Forsmark’s three reactors and the intention is to make a similar investment in two of the reactors at Ringhals, thereby extending the life of the reactors to the 2040s. Vattenfall is critical of the decision by politicians to subsidise the expansion of renewable energy. Torbjörn Wahlborg, head of Vattenfall Generation, says there is a clear risk that electricity prices will be low for years to come, which will have an impact on all electricity producers. On Thursday Vattenfall and E.ON announced that two of the reactors at the Ringhals power plant would close by 2020. 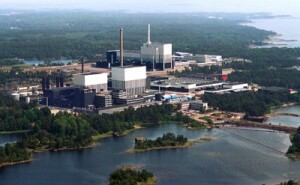 The announcement comes a day after E.ON and Fortum said they would close two of the Oskarshamn reactors by 2019. Four of Sweden’s ten reactors are being decommissioned early as a result of falling electricity prices and the Swedish government’s imposition of a nuclear capacity tax. Vattenfall, E.ON and Fortum are together facing losses of more than SKr 32 billion from the early closure. The utilities are not the only ones to suffer, however. A number of analysts suggest the closure will erode the government’s budget. The Confederation of Swedish Enterprise (Svenskt Näringsliv) has calculated that the early closure will in fact cost the Treasury an annual SKr 1.5 billion annually in lost revenue. At an extraordinary shareholders’ meeting on Wednesday, E.ON made a final decision to close two nuclear reactors at the Oskarshamn power plant. One of the reactors has already been shut down and will not be re-started while the second reactor will close some time between 2017 and 2019. Oskarshamn’s third reactor, which is the newest, will be kept in operation until 2045. Low electricity prices and the introduction of the nuclear capacity tax lie behind the decision to close the reactors. And, at another extraordinary shareholders’ meeting to be held later today, E.ON and Vattenfall will discus the timeframe for the closure of two reactors at Ringhals. Vattenfall has said they should be closed by 2020, but E.ON has said it needs more time. Following yesterday’s decision, Lars Hjälmered, the Moderates’ spokesman on energy policy, has slammed the government’s energy policy, suggesting it lacks long-term predictability. Sweden can continue to tax nuclear power production, following a ruling by the European Court of Justice (ECJ) in the government’s favour. The Court ruled that the tax did not fall within the scope of two European Council directives, and is a national, rather than a European Commission matter. The tax has cost OKG, which operates the Oskarshamn nuclear power plant, an additional SKr 1 billion this year alone and is one of the main reasons as to why four nuclear reactors will close early. Following the ruling, OKG CEO Johan Sveningsson expressed his disappointment and anger, saying that Swedish energy policy has unfortunately been designed in such a way that competition on the deregulated market has been eliminated. The ECJ ruling is the final nail in the coffin for the two Oskarshamn reactors, which will now close early along with the two Ringhals reactors, comments DI. Sveningsson says: “This is value destruction on a massive scale with billion kronor losses for the owners. In addition, it increases the vulnerability of the Swedish electricity supply”. Sweden’s nuclear industry is under pressure as a result of falling electricity prices coupled with rapidly rising energy taxes, waste fees and new security requirements. Vattenfall is already seeking the early shutdown of two of four reactors at the Ringhals nuclear power plant, and now plans are being drawn up to close two of the three reactors at Oskarshamn, according to energy market consultant Christian Holtz. The deciding factor could be new independent core cooling requirements which will demand billions of kronor in investment, says Holtz.